North Arkansas shares big Bull Shoals Lake, a water sports paradise, with Missouri and welcomes visitors from all over the country. The size of the lake allows fishermen to enjoy their favorite sport without interfering with the water sports enthusiasts. Bull Shoals Lake has a surface area of 71,240 acres at its highest level. 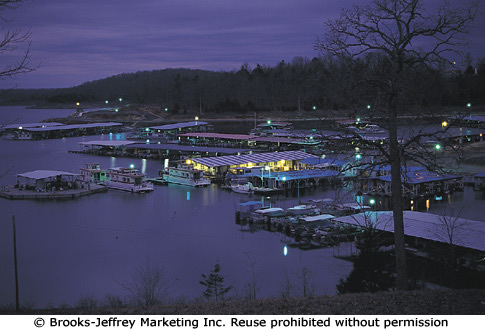 The commercial resorts and marinas of the Bull Shoals Lake locale cater to the needs of guests and residents alike. You're welcome to bring your own water sports gear or rent what you need from one of the full-service marinas serving Bull Shoals Lake. From boat rental to guided fishing trips to water skiing and scuba gear, you'll find what you need at a marina on Bull Shoals Lake. The Corps of Engineers manages over a dozen parks on Bull Shoals Lake. Many of the parks feature picnic grounds complete with tables, grills, pavilions, electricity, campgrounds, and easy-access boat launching ramps. 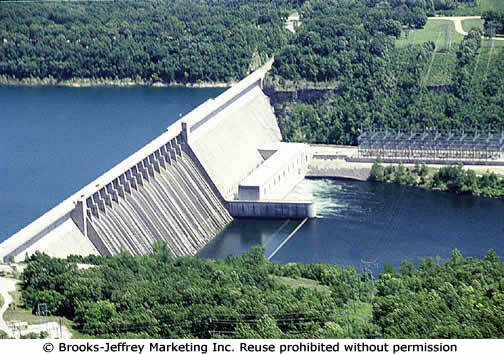 Bull Shoals Lake is one of the largest impoundments in Arkansas. 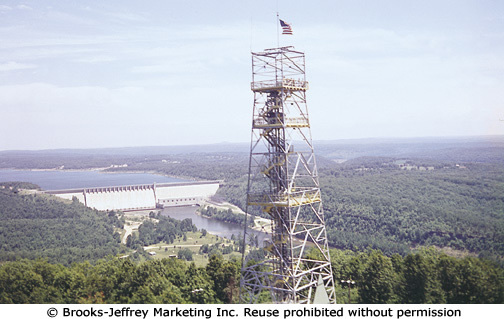 The main body of Bull Shoals Lake is located in the Mountain Home Area within Baxter and Marion counties in Arkansas. Five state record bass catches came out of Bull Shoals Lake - smallmouth (7-lb. 5 oz. ), spotted (7-lb. 15 oz. ), striped (53-lb. 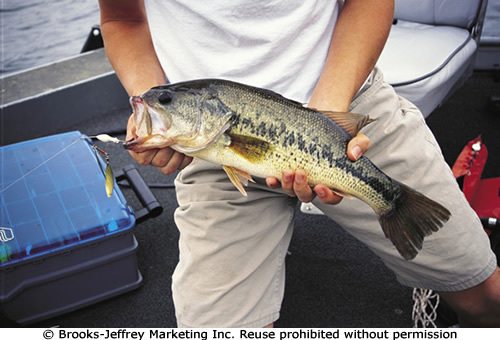 ), hybrid striped (22-lb. 4 oz. ), and white (5-lb. 4 oz.) - making it the leading lake for state record fishing. A new record striped bass was caught July 13, 2008. Bull Shoals Lake offers the fisherman something that other lakes do not - trout fishing. The Arkansas Game and Fish Commission stocks rainbow trout each year in Bull Shoals Lake. Controlled by one of the nation's largest concrete dams, Bull Shoals Lake feeds the world-famous tail-water stream, the White River.